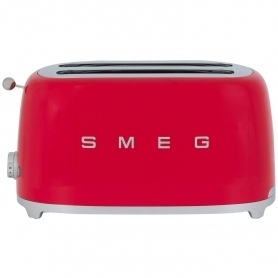 Get more flexibility in the mornings with this retro TSF02RDUK four slice toaster from Smeg. With four functions, six browning levels and extra wide slots, you can’t go wrong. 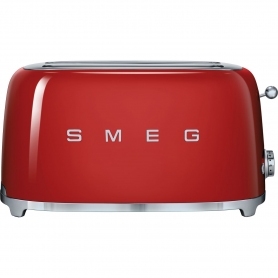 We’re all particular about how well-done we like our toast. Luckily, the TSF02RDUK has six browning levels which can easily be altered, depending on your personal preference. 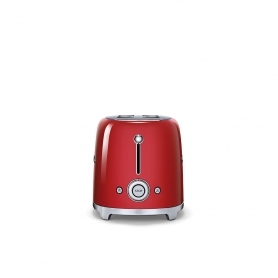 This toaster also comes with a removable stainless steel crumb tray. 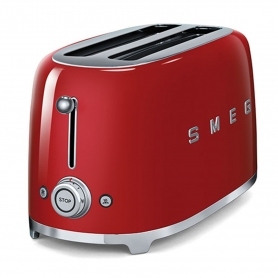 You’ll never have to tip the toaster upside down and make a mess when cleaning it again – simply remove the tray and throw away the crumbs. 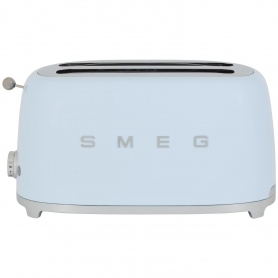 If your toast has gone cold, you can use the handy reheat function to get it back up to the ideal butter melting temperature. Families who store bread in the freezer can take advantage of the defrost function which removes any ice without making your bread soggy. Accidentally left your bread in the toaster for too long? Not to worry. 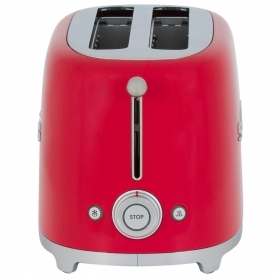 You can cancel the toasting process at any time with the touch of a button. If you like the occasional toasted bagel, you’ll love the bagel setting. This appliance has extra wide slots, so you can brown your bagel to perfection. Safety features include a built-in cord wrap, to stop the cable cluttering your kitchen countertop. 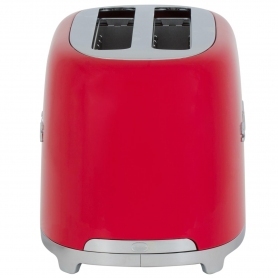 The anti-slip feet keep the toaster in place to prevent any accidents during operation. 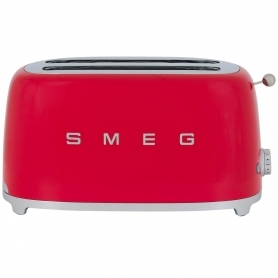 Optional accessories include a sandwich rack, which is great for keeping toasties hot and a bun warmer for the perfect tasty burgers. 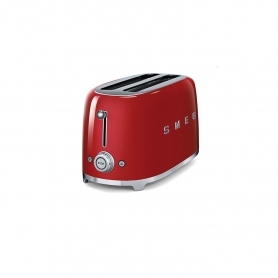 Take a look around the site for matching Smeg appliances, or buy yourself a retro toaster now.